Sitting at the foot of Table Mountain, Newlands Brewery is a labyrinthine assortment of historic brick buildings and modern glass structures glistening in the mid-March sun. 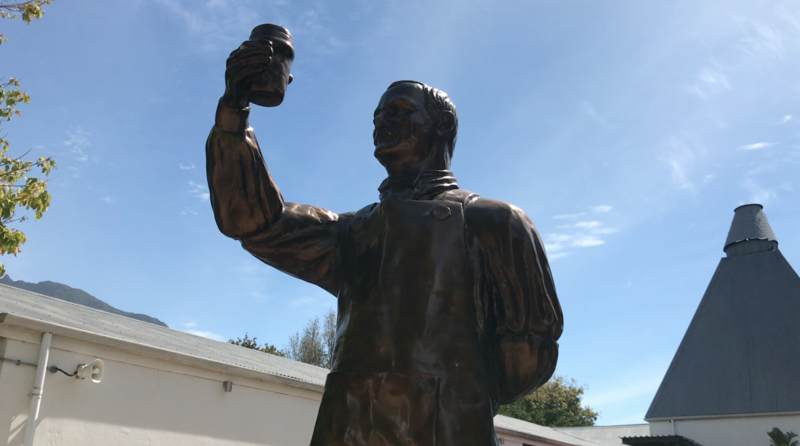 Established in 1657, Newlands is the oldest brewery in Africa, making use of the natural spring water that runs down the mountain giving the beer a crisp taste and meaning they never have to use chemicals in the production process. Today, Newlands is owned by AB InBev, the largest beer company in the world with the likes of Budweiser, Corona, Leffe and Becks Blue on their brand list. Newlands offers hour-long guided tours of the brewery with a tasting of their signature brands at the end, so that's where I found myself one sunny Tuesday afternoon! On arrival at the brewery we signed in and picked up our safety goggles, high-vis jackets, and headsets. Usually a headset means the tour will be self-guided, but for the Newlands Brewery tour, everyone wears a headset so they can hear the guide through a microphone - the brewery is far too loud for normal conversation! Our tour guide for the day was Lauren, who kicked things off with a talk about the history of the brewery and a safety briefing, before leading the group towards Cellar 1. 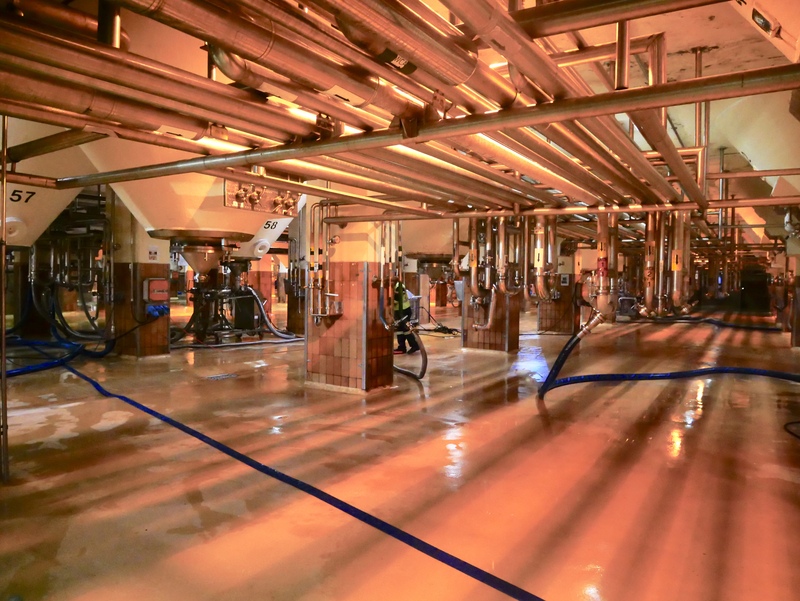 This is where the four ingredients that make the beer begin their journey; water, malted barley, liquid maize and hops. The huge tanks were humming loudly as the various kettles, whirlpools and strainers whirred around us, and we got to taste the individual ingredients in their raw state - although not the hops because they’re somewhat inedible (unless you enjoy having a bitter taste in your mouth for the next week). Up next was Cellar 2, the Fermentation Room. Here is where the two week fermentation process happens in tanks that are five storeys high. If you drank two bottles of beer from one of these tanks every day it would take over four hundred years to finish the tank. Just let that sink in a moment. The same yeast is used and recycled for five or six fermentations before it can’t be used anymore - so that’s a lot of beer from one batch of yeast! Third stop on the tour; bottling and labelling. This is where things got super high-tech and utterly Boomerang-worthy (although remember you’re not allowed to take photos in the factory, Boomerangs included). If you’ve ever seen those mesmerising production line videos then this was like that but x100. Thousands of bottles and crates were zooming along conveyers, being picked up by machine claws and capped at the speed of light. The labelling machine was slapping stickers on bottles at a rate of 833 per minute, and a high-speed camera invented by NASA took photos of the bottles as they sped past to ensure quality control. Once the bottles were capped, labelled, and placed in crates, they were sent to the distribution warehouse; our next stop. If you thought the emphasised italic facts were over, then think again. 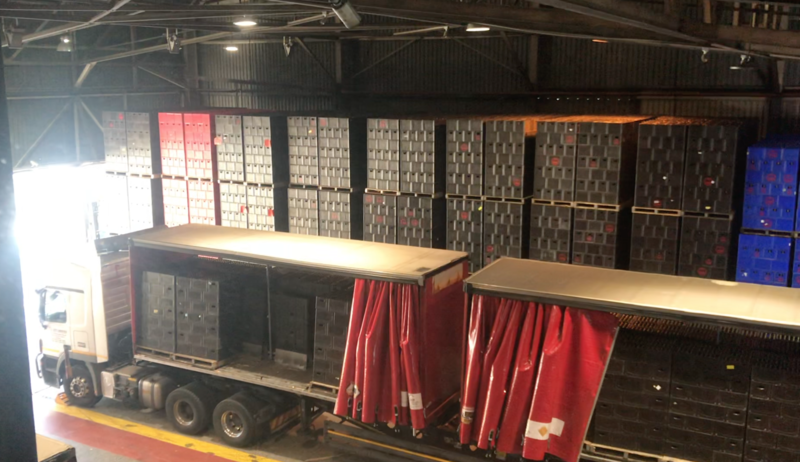 The tour walkway ran high above the warehouse floor, so we had an aerial view of the stacks upon stacks of crates filling the cavernous room. If you stacked the pallets individually one on top of the other, they'd be 10x the height of Table Mountain. The factory produces 2.2 million quarts of beer every 21 hours so the distribution turnaround has to be extremely efficient, and very quick. So quick, in fact, the lorries only have 15 minutes to unload, reload, and set off. 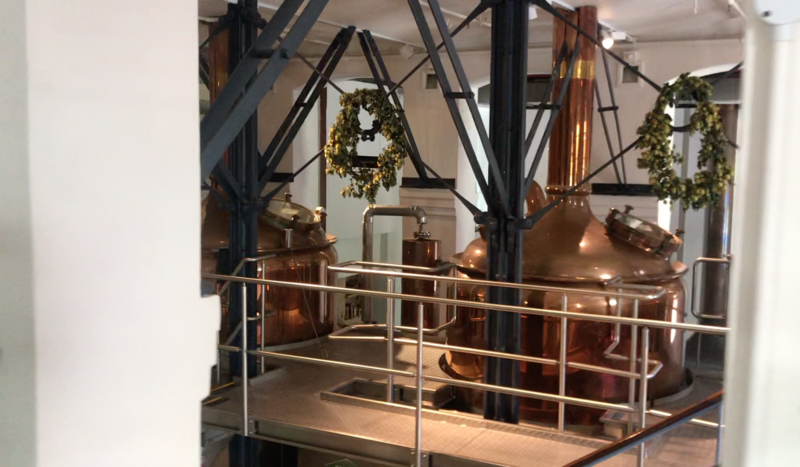 The final guided part of the tour took place in the original brewhouse built in 1820, now used as a museum for the old production machines that once produced just one bottle of beer at a time - adorable. The original brewhouse is now also a microbrewery for Newlands Spring craft brand, made in glorious stainless steel tanks finished with shiny copper. We just had time to admire the vast global beer collection donated to the brewery by the widow of an avid beer fan, before heading back to reception to return our vests and headsets. Part 1 of the experience completed, we followed Lauren through the courtyard and into the bar where our tasting was ready and waiting. In front of us was a laminated card with five beers lined up; Castle LITE, Carling Black Label, Newlands Spring Jacob’s Pale Ale (based on an original recipe written by Jacob Letterstedt himself), Flying Fish apple flavour, and Castle Milk Stout. Lauren taught us how to properly smell and taste the beer, trying to distinguish the subtle flavours (or not so subtle in the case of Flying Fish), and teaching us about the manufacturing and marketing of each brand. The tasting concluded with two full-sized drinks of our choice from the bar, stocked with every Newlands brand as well as the ones we had tasted. We’d highly recommend getting a taxi home from this experience! I’ve done a microbrewery tour before so I thought I knew what to expect, but the immense scale of the Newlands Brewery operation was absolutely mind-blowing. Just thinking of the streamline efficiency that’s needed to keep something like that on schedule makes me nervous, and I don’t even work there. 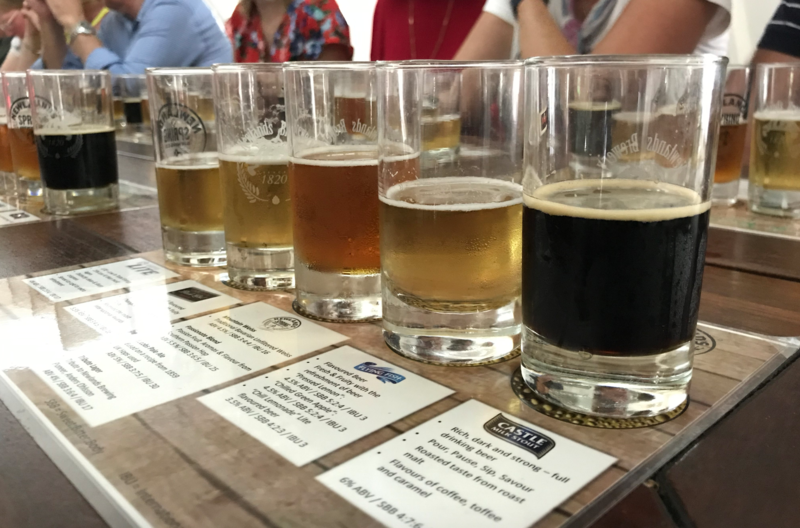 The tour and tasting is a fantastic experience that I’d highly recommend to anyone visiting Cape Town, whether you have a passion for beer or not. Huge thanks to Lauren for an entertaining and informative day out! 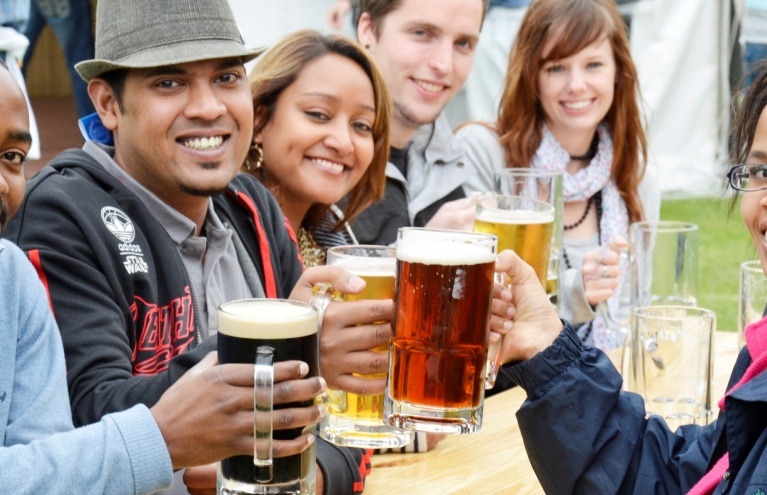 Head down to the oldest operating Brewery in South Africa and enjoy an informative and entertaining brewery tour! Finish up with some delicious tastings and a pint or two in the pub!